Available: Bass Player, Flutist, Harmonica Player, Singer, Songwriter in Howrah, West Bengal, India. Posted 2 weeks ago by Swapnadeep-Insane-Mukherjee, 44 views. Available: Bass Player, Guitarist, Guitarist - Lead, Harmonica Player, Singer, Vocalist - Backing in Crookston, Minnesota, United States. Posted 3 weeks ago by Josephjohnson, 43 views. Available: Drummer, Guitarist, Harmonica Player, Singer, Songwriter, Bass Player in Lyndhurst, New Jersey, United States. Posted 3 weeks ago by Monteezy, 91 views. Posted 4 weeks ago by BeatleMania2099, 69 views. Available: Guitarist - Rythm, Harmonica Player, Singer, Songwriter, Producer, Trombonist in Bonn, North Rhine-Westphalia, Germany. Posted 1 month ago by Famous, 55 views. 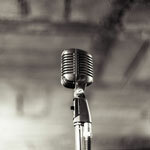 Free Harmonica Player wanted and available ads in your Area. Find a Harmonica Player today or a band to play in. An overview of all musician classifieds on Join-A-Band.com.